Cecile Pearl Witherington was born in Paris on 24 June 1914, to British expatriate parents. A precarious childhood made her self‐reliant and practical: her feckless father had been born into money but drank most of it away, and Pearl often had to negotiate with his creditors to save them from destitution. These and other troubles led to her parents separating in 1931 (her father died a year later), and at the age of seventeen she became head of the family, looking after her mother and two younger sisters. Although the chaos at home had cut short her education, her elementary studies at the Paris British School taught her just enough to get her a secretarial job at the British embassy. She became secretly engaged to Henri Cornioley, the brother of one of her school friends, but war intervened before they could marry. As the Germans swept towards Paris in June 1940 the embassy closed, leaving Pearl to her own devices. She and her family kept a low profile in the newly‐occupied capital, but in December they were warned that British nationals were being rounded up. Four days later they left for Marseille. Lacking the necessary paperwork, Pearl smuggled herself, her mother and sisters across the frontier into southern unoccupied France, then got an American consul to arrange their visas to Spain and Portugal. This episode gave an early indication of her resourcefulness and capacity to act under pressure, and hinted at her later success as a secret agent. When they arrived in England in July 1941 Pearl got a job with a branch of the Air Ministry, where she had a fateful meeting with an old school friend from Paris, Maurice Southgate. She and Maurice were both sickened to see their home city in the hands of the Germans, and felt determined to do more than just sit behind a desk. When Maurice joined SOE in 1942 she had wanted to follow him, but her boss was opposed to her being mixed up in cloak and dagger work and did everything to prevent her transfer. Nothing would stand in her way though, and in April 1943 a friend at the Foreign Office arranged an interview with SOE’s French (or F) Section. It was a formality – Pearl had already made up their minds for them, and after some paper shuffling at the Ministry she was formally recruited for training as an agent. Like all students she took on a cover name, "Pearl Wimsey", to hide her real identity. She quickly understood what SOE's instructors were looking for, and did not disappoint them. Aside from being bilingual, Pearl was thoughtful, direct, unflappable, remembered everything she was taught and was careful in what she said (growing up with an alcoholic father had put her off drink for life, a virtuous trait which also ensured that she would not spill any secrets at the bar). Though she would never carry a gun during her mission – she later said she didn't believe it was "a woman’s job" to kill – one instructor commented that she was "probably the best shot (male or female) we have yet had", and judged her "completely brave" and "an excellent student for the job". Sometimes her dominating personality verged on the rebellious, but like an earlier student, Denis Rake, the assessors preferred to turn a blind eye when her temperament clashed with the rules. While others were being subjected to compulsory early morning physical training Pearl refused to budge from her bed, and during a mock Gestapo arrest she "gave the impression of complete indifference" towards her interrogators (in her own review of her performance she said she would have preferred "a proper police grilling" to really test her nerves). Women agents were not trained to run networks and her poor Morse code skills ruled her out as a wireless operator, so plans were made to send Pearl – codenamed Marie – as an assistant for Southgate, who had parachuted back into France eight months earlier. His network, known as STATIONER, had spread across much of central and south‐western France, a territory too vast for his existing courier, Jacqueline Nearne, to handle alone. Travelling under the false identity of "Geneviève Touzalin" and with microphotographed orders for Southgate sewn into hem of her skirt, she was dropped to his reception committee on the night of 22/23 September 1943, at a field near Tendu, south‐west of Châteauroux. Despite high winds she avoided landing in a lake, but her luggage was not so lucky. The following day she was also reunited with Henri, who had joined Southgate’s group after escaping from a prisoner of war camp. In the following months he became her trusted lieutenant as well as her fiancé. Once her suitcase had been recovered Pearl began her first tour of Southgate's groups. She had feared that the men of the maquis (French guerrilla fighters) would not accept arms training from a woman, but they were too needy to care. On a visit to a camp in the Dordogne, one told her, "The Boches use women to do their dirty work, why not the English?" Her dealings with Henri Ingrand, deputy chief of the burgeoning 'Gaspard' organisation in the Auvergne, were less productive. After several failed attempts to blow up the Michelin factory in Clermont‐Ferrand they tried blackmailing the management, hoping to stop production by sabotaging the plant rather than completely destroying it. The management refused to cooperate, and it was later bombed by the RAF. Nevertheless, Pearl’s reports about the size and importance of Gaspard’s organisation prompted F Section to launch a new network, FREELANCE, to support it. In November she changed her identity again, posing as "Marie Jeanne Verges", a cosmetics consultant. Like her fellow courier Jacqueline Nearne, Pearl soon began to feel the strain of the job, spending her days delivering messages, enduring countless train journeys and being subjected to regular police and Gestapo checks. There was also the atrocious autumnal weather to contend with. Unable to find a place to stay, Pearl was effectively homeless and often resorted to sleeping in unheated train carriages. After consultations in London Southgate parachuted back in January 1944, with orders to concentrate on building a secret army to hold up German forces when D‐Day arrived. Pearl was out of action for several weeks with neuralgic rheumatism (a consequence of her cold nights on trains) but got back to work just in time to see off the exhausted Jacqueline, who was flying back to England after fourteen months in the job. Despite Pearl’s own growing responsibilities she clearly regretted nothing: in a note to F Section’s Vera Atkins in London she admitted that she "got a bit hot around the collar now and again" but still felt she had done the right thing to volunteer for such hazardous work, adding "I’d far sooner be here than sitting in an office". Less than a week later STATIONER suddenly collapsed. Although he had begun to delegate some of his duties to his talented Mauritian wireless operator, Amedée Maingard, Southgate was hopelessly overwhelmed by his workload, and on 1 May he missed a warning signal and walked into a Gestapo trap. Pearl quickly spread the news of his arrest to those most in danger, and for the sake of security Maingard chose to split up the circuit. Changing her codename to Pauline, London agreed that Pearl should become the leader of a new network, WRESTLER, taking over STATIONER's former territory in the Indre department, north of Châteauroux (Maingard went on to command SHIPWRIGHT, which operated just south of it). During her training an instructor had noted that Pearl "though a woman, has definitely got leaders' qualities". Now she was being asked to prove it. WRESTLER would have been a tough assignment for a trained organiser, let alone a courier. Resistance in this rural area of France was weak and fragmented. A local gaullist leader had been captured soon after her arrival, and although a rival communist group had happily taken Southgate’s supplies of arms they refused to follow any orders from London. 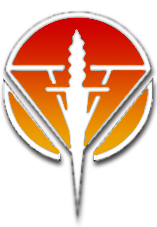 On D‐Day Pearl’s poorly‐equipped maquis did what they could, cutting phone lines and felling trees to block roads and rail lines, but their minor sabotage brought unexpectedly fierce retaliation. Early on the morning of 11 June an estimated 2000 German troops rolled up to WRESTLER’s headquarters at the gatehouse of the château des Souches, a few miles east of the town of Valençay. Believing the whole area to be a maquis stronghold, they had arrived in force to flush them out for good. Hearing the approaching trucks Pearl had just enough time to flee into the wheatfield behind the château, where she spent the rest of the day in the blazing heat, dodging potshots from her pursuers. The invaders burned down farms and houses in their path but fortunately they were unprepared for guerrilla tactics, and a combined local maquis force of just 120 men were able to fend them off for fourteen hours, killing 86 and wounding many more. The Germans retreated, but the next day the Gestapo returned to burn down the château and blow up WRESTLER’s arms dumps. Starting from scratch with little money and no arms, Pearl and her followers regrouped at a farm a few miles away. Feeling out of her depth she requested a military commander to be sent from London, but it quickly became obvious that no‐one was coming. She would have to do the job herself. In late June she began to call in supply drops through her wireless operator, and in the weeks that followed she arranged the reception of twenty‐three parachute operations, collecting enough materiel to arm all of the 1500 men in the four sectors she built up under her command. At the end of July Pearl at last received a French commander to coordinate the maquis attacks on German convoys, which caused havoc on the main roads across the region. Intelligence collected on local train movements also enabled the RAF to destroy 60 petrol wagons bound for Normandy. While these triumphs established Pearl's authority, they also increased the dangers. The Gestapo reportedly put a price on her head, and the maquis took no chances with collaborators or informers ('Quislings', she reported later, "were shot"). In mid‐September, WRESTLER finally helped to force the surrender to the Americans of the remaining 18,000 troops in the region, having inflicted around a thousand German casualties over the previous four months. Having completed her mission the newly promoted Flight Officer Witherington returned to London. In addition to her mission reports, she also gave a extraordinary – and probably unique – breakdown of her expenditure in the field: amounting to several million francs, it listed in meticulous detail every purchase she had made, even including entries for cigarettes and razor blades (she also returned the balance). In October she married Henri at Kensington Registry Office; they had a daughter, Claire. While the French would make her a knight of the Legion of Honour and award her the Croix de guerre and Médaille de la résistance, British recognition of her bravery became a more bureaucratic business. As women agents were considered ineligible for military decorations, Buckmaster’s recommendation for a Military Cross was rejected, as was his suggested alternative of a military OBE. 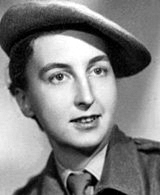 When offered a consolatory civil MBE, Pearl turned it down "as a matter of principle": she had done the same job as her more highly decorated male colleagues (as eligible British officers, Maingard and Southgate – the latter having returned from Buchenwald concentration camp – both received the Distinguished Service Order) and there had clearly been nothing civil about her role as a guerrilla leader. Her view was shared by F Section’s staff, and an appeal led to a victory of sorts: in September 1946 military MBEs were awarded to her and four other women agents. After reuniting with her former comrades in France, and taking part in a US publicity tour giving talks about her life as a secret agent, Pearl Cornioley returned to Paris where she began a long career at the World Bank; Henri worked as a pharmaceutical chemist. In 1991 they both helped to establish a memorial in Valençay, commemorating the 104 F Section agents who did not return, and later retired just a few miles away, in old WRESTLER territory. Following Henri's death in 1999, Pearl also became honorary president of Fédération Nationale Libre Résistance, an association set up after the war to remember the work of F Section’s agents and staff. In 2004 Pearl’s MBE was upgraded to a CBE, then, at the age of 92, the RAF finally awarded her most prized possession – her parachute wings. They had been withheld on a technicality: wings were given to agents after five parachute jumps, and her fourth had been into France. Pearl Cornioley died in February 2008. Pearl had long disapproved of the romantic portrayals that typified SOE’s women agents in the media, and though she appeared in a chapter of James Gleeson’s 1976 book They Feared No Evil and recounted her story for the Imperial War Museum's sound archive she generally kept her wartime exploits to herself. In fact it was not until the 1990s that she agreed to a series of recorded interviews with journalist Hervé Larroque: hoping that her experiences might inspire younger generations, they were transcribed and published in French under the title Pauline, in 1995. Code Name Pauline, an English‐language adaptation of Larroque’s book by Kathryn Atwood, was published in August 2013. A biography by Carole Seymour‐Jones, She Landed by Moonlight, was published in July 2013. Code Name Pauline by Kathryn Atwood (Chicago Review Press, 2014). She Landed By Moonlight by Carole Seymour-Jones (Hodder & Stroughton, 2013).